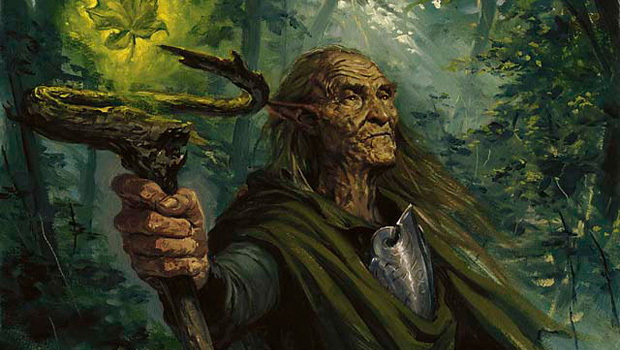 Elves was once one of the best decks in Modern, thanks to the high power level and consistency afforded by Green Sun’s Zenith and Glimpse of Nature. Once they got the banhammer, things took a nosedive and the archetype has been struggling ever since. Sure, we saw nice aggro lists do well here and there at smaller events, and some respectable attempts at combo after Beck // Call was released, but nothing has really stuck or impressed the community at large. 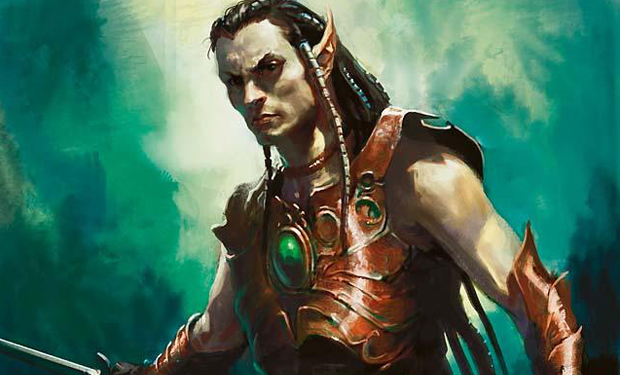 Two things have changed recently that could mean Elves is finally viable in Modern. It’s a big could, but it’s important we explore it. First: several lists have been doing okay at tournaments big and small, most of them deviating from the Legacy template the community (myself included) has clung to for so long, and instead opted for the Devoted Druid / Ezuri, Renegade Leader plan (two untapped Druids and an Ezuri means infinite mana and pump). So there’s at least some viability there. Second: Collected Company is entering the format. Two of the major problems Elves has had in Modern is consistency and a lack of recovery tools (spot removal but moreso wrath and 2 for 1’s off Electrolyze are difficult for the deck to fight through over the course of a tournament). Scavenging Ooze is nice, but it’s often not great in the mid-game and it doesn’t help consistency — unlike Company. With the addition of Company, there are three different directions we can go: aggro, Legacy-style combo (with Beck // Call and Cloudstone Curio), and Devoted Druid / Ezuri combo. Company certainly is a great fit for aggro, and I’ll likely explore that option in the future, but for now it’s between the latter two options. It’s an easy choice from my perspective: in preliminary testing, about 6-7 or less non-creature spells (including Company) seems to be ideal here (this may be different in a deck like Zoo, as a low land count helps us), and the Legacy-style lists are a lot less streamlined and pack creatures that cost more than 3. I’m definitely open to it being better and may explore it in-depth in the future too, but for now my instinct — based on preliminary testing and extensive experience with the Legacy-style version — is to place bets on Devoted Druid / Ezuri. Now, a three card combo is generally a bad idea in Modern, but that’s not so much the case here for a few reasons: two of the cards are the same, all of the cards do multiple things outside of the combo, and we have a backup aggro plan. When you actually get some time in with the deck, it becomes clear it’s a lot more viable than it might seem. Heritage Druid and Nettle Sentinel: Without Heritage, Elves is just too slow and vulnerable to work. She becomes busted in combination with Sentinel, who doubles as a strong beater and blocker when buffed. Sentinel is also synergistic with Chord of Calling. Devoted Druid and Ezuri, Renegade Leader: The combo, and the reason to play this version. Besides Ezuri, Devoted has synergy with Heritage, Sentinel, and Chord of Calling. Plus, two extra mana on turn 3 is no joke. Eternal Witness: Nice as a recovery tool, combo piece (fetch that dead Druid you or an opponent killed to combo off), and value (Collected Company into Witness into Company is a thing). Collected Company: This deck had some game to it before Company, but now, thanks to it, it has a huge boost in consistency and resilience. Don’t leave home without it. Chord of Calling: Added consistency that synergizes well with Sentinel and Devoted Druid, and can fetch hate cards for you (at instant speed, no less) — a superb card that does a lot to make Elves work. It’s possible this should be Summoner’s Pact, but I’m more inclined to think not as of now. Llanowar Elves, Elvish Mystic, and Arbor Elf: We don’t have sweet 1-drops like Legacy does in Quirion Ranger and its ilk (yet), so some number of these is probably necessary. While the ‘needing to untap to work’ thing and the sometimes poor topdeck issue are annoying, you could do a lot worse (a lot of Modern decks could, for that matter). Elvish Visionary: Brings some consistency and resiliency to the table. She’s better if we have a way to bounce her (the only decent ways in Modern are Temur Sabertooth and Cloudstone Curio, and neither of those fit very well here), but is still respectable even if we don’t. Fauna Shaman: Also brings some consistency. Like the dorks, she needs to untap to work, but she will sometimes, and when she does she will often take over the game. She also serves as another big threat to deal with — a dead Fauna Shaman is an alive Heritage Druid. Scryb Ranger: Lets us operate on fewer lands and abuse tap effects, and keep going when we cast Company into her. Remember we can use the ability on the opponent’s turn, too. Elvish Archdruid: Can get us stupid amounts of mana to dump into Ezuri, and provides a valuable backup aggro plan. We’ll usually be very happy to flip this off a Collected Company, especially if it’s at the end of our opponent’s turn, and especially if we get Ezuri with it. Scavenging Ooze: Delve is pretty popular right now, and Ooze is great post-wrath (imagine following an opponent’s 4 for 1 Pyroclasm with a Company into Ooze and Fauna Shaman). The question is whether this should be sideboard to make more room for other things. Spellskite: Flat out insane in this meta, where it’s extremely relevant as a hate card and protection card against most of the top decks. I’m inclined to run it main since we have Chord, but again, it’s a matter of room. Nykthos, Shrine to Nyx: Can be nutty, but can also feel win-more and hurt our ability to cast a lot of little green dudes. It will require testing. Based on all that, below is my first draft. I’m not 100% confident in the list as of yet — I may want some of the unused aformentioned cards in the maindeck, I may want to tweak card counts, I may not want Skite in the main (or I may want more), I probably want to address some different decks with the sideboard or address them more strongly, I may want to sacrifice a little consistency with Company for the explosiveness of Craterhoof Behemoth, I may want to put the Vengevine / Fauna Shaman plan sideboard, I want want to splash white for hatebears, etc. However, it also feels like a great start that will become more refined after testing (which I’ll get in next week once Dragons of Tarkir releases to Magic Online). In any case, this is the best I’ve felt about Elves since I began playing Modern, and even if Company doesn’t prove to be enough, it’s a good stepping stone. Thank you for highlighting Elves and continuing the great work developing the archetype in Modern that you have for years now on forums! This looks like a great starting point and takes advantage of Collected Company better than any list I’ve seen yet!. When I say “Legacy-style” I mean lists with Beck (and Cloudstone Curio). I’ve updated the article to make this more clear. I’m not sure Mirror Entity is necessary with Ezuri and Craterhoof in green; Tendrils isn’t Modern legal; Predator isn’t as good as Craterhoof. Mhm yea Ive missed that Craterhoof. I still think elfes was always in need of that yellow mana splash ( gaddock , rest in peace , kataki , burrentog , ranger of eos , aven mindcensor ) also what do you think of defense grid / thorn of amethyst ? White is an excellent splash for sure. It’s possible the best version should run white. Grid and Thorn are great cards, but we have better options in Cavern of Souls and Thalia. There are still some great combo decks and ideas out there! I promise :). Sean has gone a long way to foster the growth of both Combo and Aggro elf decks on the Salvation forums. I’m an elf combo player too; but I still really like the improvements this list has made to the Aggro-style deck. I consider this list about 50/50 on combo/aggro, to be clear. I completely agree with that. Even “combo Elf” players are going to quickly see how similar this plays in many ways to a combo deck (with Heritage Druid and Nettle Sentinel). It’s just the most powerful thing you can do with elves. You may be ramping to a different win con and the support may be slightly different; but you are absolutely right that the deck is just as much “Combo” as it is “Aggro”. Great point. Cool deck. Do you think it’s worth it to try and sneak Craterhoof Behemoth, Joraga Warcaller, or Ugin in there as a backup plan in case the main combo doesn’t materialize fast enough? Warcaller and Ugin won’t speed the deck up, but yeah, Craterhoof may be necessary despite being anti-synergistic with Company. But then we also probably want to replace Chord with Pact, which hurts the Skite plan that’s so important right now (the more I think about it, the more Skites I want to run). So in a word: no. Edit: also, I crunched the numbers and Ezuri should be lethal in most situations Craterhoof would be, anyway. I’ll have those in the next article. Fair enough. How about 1-2 Cavern of Souls to ward off counterspells? There are 3 in the side. Possibly they should be run main, but I want be resilient to Blood Moon and land destruction, and be able to cast Chord reliably. Twin is pretty much the only deck countering things right now and they don’t have much removal to back it up, so I’m not too concerned either way (this is probably a good reason to cut Cavern altogether). It’s a good effort, although some of his choices and considerations are silly and/or anti-synergistic (Steel Hellkite, Garruk, Vines, etc). He does have good points about Devoted Druid, although he doesn’t acknowledge its synergy with Chord, Heritage, and Archdruid, which is a key reason to run it. I still think the infinite combo is valuable because you’ll be able to win instantly with it where you couldn’t otherwise with Ezuri (like if they’ve gained life, or you can’t deal quite enough damage, you don’t have enough attackers or any attackers, or you don’t have enough mana to activate Ezuri). Also, it lets you combo out with Company and/or Warden and/or Witness. Basically, play the deck kind of like people played Pod: like a creature deck with combo pieces that can also just function as value pieces. But possibly we should just go more in on the Chord toolbox instead, or go full aggro. Testing will tell. That is quite similar; but that’s not uncommon in the digital age when a new card is spoiled that fits well into a somewhat existing archetype. Just goes to show that great minds think alike! I do like the use of vines of Vastwood; but I really think 1 Eternal Witness is a must when running Collected Company. One time use reactive cards are a bad idea in Elves. We don’t want to leave mana up; we want to maximize mana usage to win as soon as possible. I cringe every time I see Wrap in Vigor, Vines, etc. in Elves lists. You’re better off playing something proactive that’s good if you’re ahead or behind, or just more elves. I wonder if adding breeding pools and beck instead of chord of calling makes sense. Beck will still trigger off company which provides a nice dynamic. Chord is necessary for consistency. Any Beck build will have to look significantly different, I reckon. I’m not sure the Legacy-style builds are compatible with Company. Confused; are you implying that one would use Ezuri’s regen ability to take -1/-1 counters off the devoted druids? Because regen only saves from damage/destroy effects. It wouldn’t stop a state-based effect like having 0 toughness. Unless I’m mistaken? Tap two druids for two mana, untap both, tap for two more; tap another mana source for a fifth mana, use Ezuri’s pump ability. Druids are now 3/4; tap/untap Druids for 6 mana, making them 1/2; use Ezuri’s pump ability, making them 4/5, etc. You net mana each time, letting you go infinite. I see. Thanks for the clarification. Great site btw; keep up the good work!